As one of the most promising country on economics and technology in Southeast Asia, Indonesia is globally being watched over by investors. In 2008-2010, when startup was still growing, only few foreign investors coming and Japan’s venture capital is dominating. In 2017, U.S.’s and Chinese’s VCs are coming to invest in Indonesia. 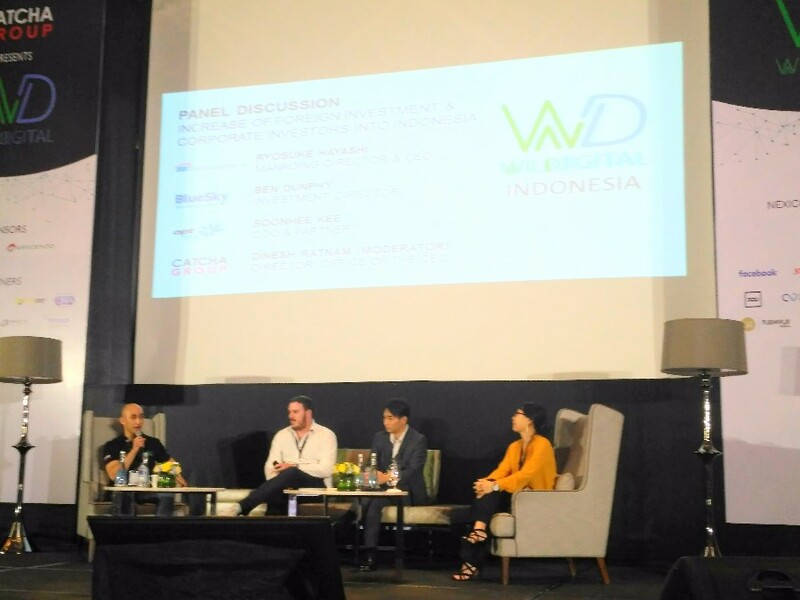 In a session of Wild Digital Indonesia, foreign VCs representatives, like Bluesky’s Investment Director Ben Dunphy, SBI’s CEO & Managing Director Ryosuke Hayashi, and OPT SEA’s COO & Partner Soonhe Kim, discussed about the enthusiasm towards Indonesia. Out of many reasons regarding Indonesia’s superiority over Malaysia and equivalent to Singapore is the huge market size. Proven by the increasing use of smartphone and internet penetration in Indonesia. opportunity for startup development in Indonesia. “Lots of ‘unbanked people’ is an opportunity for startup to develop solution for this problem,” Hayashi added. Since 2011, Indonesia has started significant change in technology, led by local rising stars, like Tokopedia, GO-JEK, and Bukalapak. The dynamic puts Indonesia as one of the fastest growing economy in Southeast Asia. “When local startup was non-existence, there is no clear opportunity for investment. Nowadays, many high-potential local startup are rising and attract foreign investment,” Kim said. The similarity in market and technology development between Indonesia and China becomes a reason of many foreign investors come and invest more in Indonesia. It does not complicate Bluesky, OPT SEA, and SIB to keep looking for opportunity in potential startup in Indonesia and to compete with Chinese VCs. Asia-focus investor, like OPT SEA, it won’t be a problem,” Kim said. Disclosure: DailySocial is a media partner of Wild Digital Indonesia.